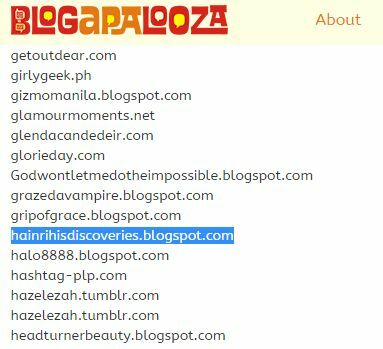 Last October 4, I received an email confirming that I passed the screening and am one of the 500 bloggers invited to the Blogapalooza 2015 in October 25, Sunday, at One Esplanade, Pasay City. I became excited because I feel my blog is not yet worthy yet. The email consisted of the Blogapalooza Bloggers Badge already posted in this blog’s sidebar. Blogapalooza started in 2011 with an annual Blogapalooza event that run for a day. It was an invite-only event that only Bloggers and Businesses can attend. The rule was simple; Businesses present their products / services and build relationships with the Bloggers, while Bloggers get to see what is new and network with Businesses to make deals happen. The idea came about as there are too many blogger events each day, it would be hard for a Business to prepare an event and invite bloggers to their event (effort-wise, cost-wise, attendance-wise). So, when we pool together the most interesting products and services and invite Bloggers, it saves them time and money (transportation, etc.) and gets them access to numerous Businesses. While Businesses enjoy high attendance rates of Bloggers and a very good number to tap. Blogapalooza Events are composed of Interesting Business Presentations, Entertainment, Trade Shows and Networking. Our events are always well attended and has always reached our target number (if not more) and promise to Businesses and Sponsors. We intend to improve this as we do more and more events in the future. Anyway, I read a few blog posts to get some tips and tricks on attending---especially for a first timer like me. Thanks to these tips, I am preparing for Blogapalooza 2015 as early as now. If you are attending for the first time, let me know so we can hang out together. I already met some fellow bloggers in Facebook who are also first-time attendees and I can’t wait to meet them. I feel the event would be more fun and enjoyable if I am with bloggers who are also first-time attendees. 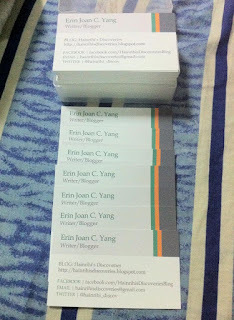 According to a few blogs, such as All Around Pinay Mama, The Daily Whim, and Mama Speaks, we should bring at least 100 business cards. Most of the exhibitors and sponsors have fishbowls in their booths, so bloggers can drop their business cards. It is more professional than writing your name on the guest books or scribbling your blog details on a piece of paper. 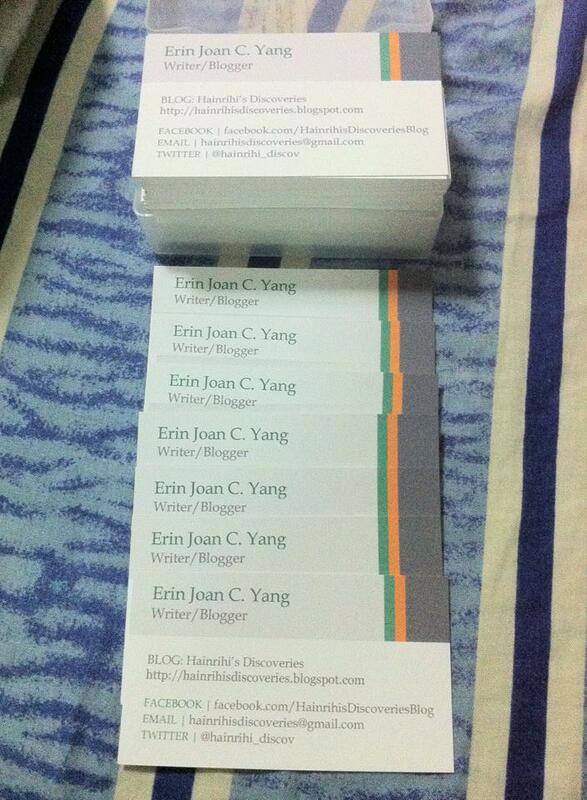 Thus, I created my own business/blog card, and placed my blog address, Facebook, Twitter, and email address. I wanted the card to be simple and professional, so businesses can easily read it. I plan to create another set when I have my own logo; but for now, I am happy with the results. These cards made me even more excited and I cannot wait to use them. :D These were printed from the printing business of my two cosplay friends, Den and Ayu. I highly recommend having your cards made and printed by them. If you are interested, visit YU-EN Cosplay’s page. Being ready is one of the things that stuck to me. Bloggers are advising first-time attendees to bring eco-bags, especially big ones, because exhibitors and sponsors will be giving away loots, samples, and freebies. Also, gadgets should be charged because there are booths that require to register online or upload stuff in social networks. It is also better to bring powerbanks, so I can charge the gadgets on-the-spot. Indeed, I am looking forward to Blogapalooza 2015, as this is a good way to expose my blog to the exhibitors and sponsors. :) I also hope to learn many things about blogging. 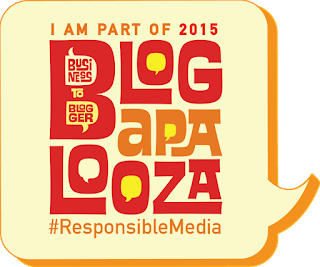 Learn more about the event in the Blogapalooza official page.